Even though Pontiac went defunct in 2010 and are therefore among the zombies (vehicles on the road sporting names of discontinued brands) there is still a great need for qualified auto mechanics ready and able to fit Pontiacs for tires, change oil, and to fix what is broken. If you are in or around Holmen, Cordell’s Automotive is your go-to for all things Pontiac auto repair. According to Experian, more than 30% of zombie cars on the road are Pontiacs. Considering there are more than 15 MILLION zombie cars, that’s a lot of Pontiacs still needing auto repairs and maintenance and Cordell’s Automotive is here to undead your zombie. 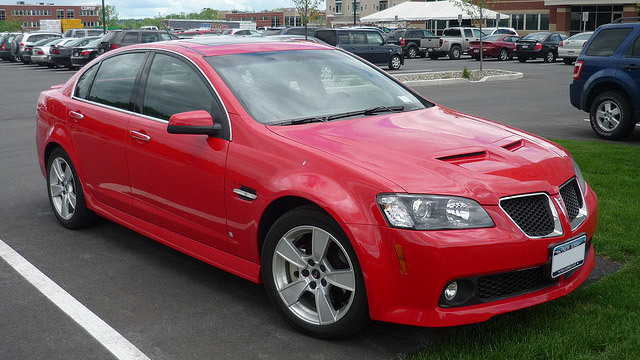 Pontiacs have three of the top five models of zombies still roaming the streets of Holmen and beyond: the Pontiac Grand Prix, the Pontiac Grand Am, and the Pontiac G6. Whether you own one of these models or one of the other myriad models, Cordell’s can help. The auto mechanics at Cordell’s Automotive will always make things right and will go out of their way to provide you with the best customer service possible. We back our work with a 3-year/36,000 mile warranty and will always do our best to help you get to wherever you need to go even if you’re tempted to hang out in our awesome waiting room. We’d love to work on your Pontiac. Schedule an appointment today. Cordell’s Automotive is located at 300 South Holmen Drive, Holmen, WI, 54636. Our hours are 7:00 AM - 5:30 PM, Monday - Friday. We also service the communities of La Crosse, Onalaska, and Trempealeau.